Angels on horseback, a British appetizer made with oysters that have been wrapped in bacon. 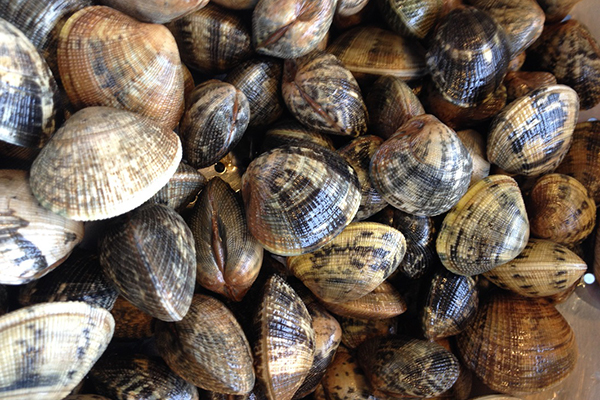 Our premium quality Saltspring Island Mussels are grown in the incredibly rich, cool, clean coastal waters of BC. making them very sweet and plump mussels. These tender, mouth-watering warm water lobster tails are a true delicacy. A feast fit for a king and queen. Tenderized Calamari Steaks, an extremely simple and versatile. Very mild in taste with a chewy yet tender texture, similar to that of Scallops. These firm, tender clams are the best for steaming. Because these are "cultured" (farm-raised), they are not sandy and do not require purging or extra cleaning. Enjoy the fresh flavor without the extra work. They're dry packed, super sweet, and non pumped and they sear and sauté great. Timothys Oysters all come from government approved leases from both the west coast & the gulf islands.Shucked in small batches to provide us the ultimate fresh product.